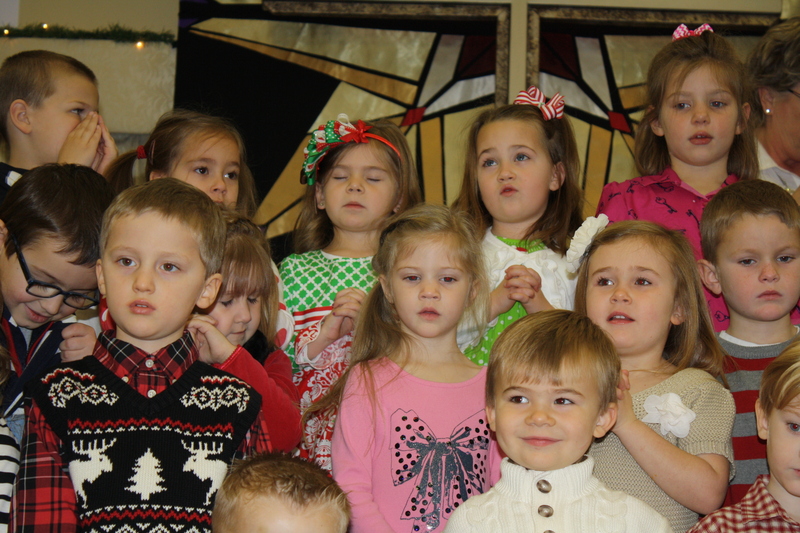 Our Christmas Worship service was this past Saturday. With the weather, we weren’t sure how many would make it. We were blessed to have record numbers! It was crowded and busy and sometimes even loud! voices singing, full of worship and fellowship! 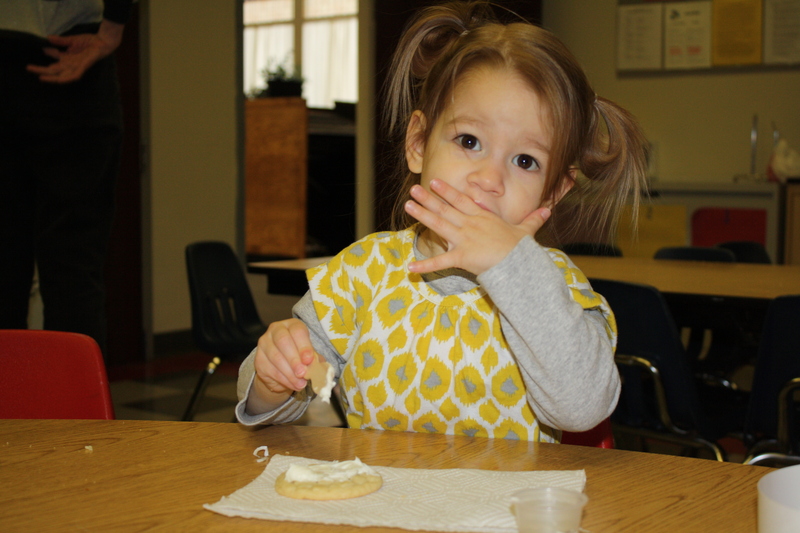 We love theses types of opportunities to gather with our preschool families. We appreciate you taking the time to come and be a part of our Christmas worship. Because, isn’t that what is most important? Time. That is what our children want and need most from us. The time to be together; to share in special traditions, to play games together. and to talk about what is important about Christmas: Jesus! It was great to see you Saturday! Thank you for coming! The season is here and, somehow, everything seems to feel differently this time of year! 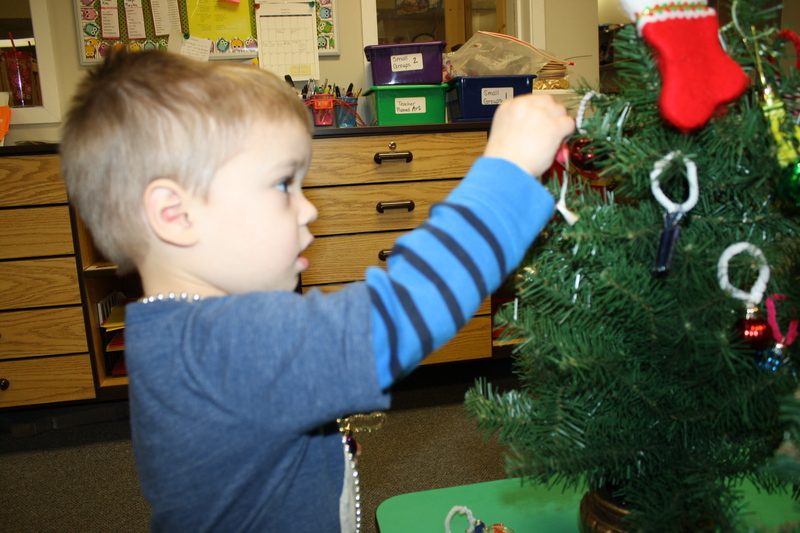 It’s a magical time, especially experiencing the holidays through the children’s eyes. 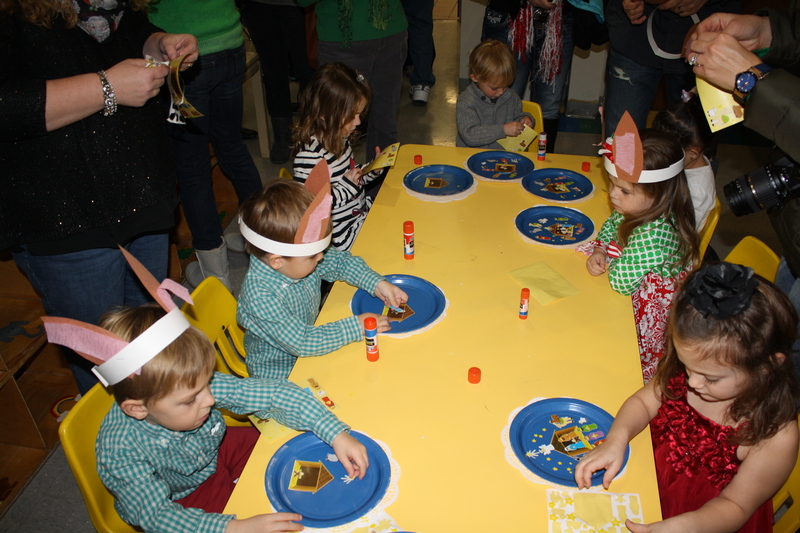 We have begun celebrating Christmas here at the preschool in so many ways. We decorate trees, we practice wrapping gifts during work time, we pretend to bake cookies, we act out the nativity scene, play with baby Jesus, sing, and celebrate the magic of Christmas in every imaginable way. While it’s a magical time, it can also be a stressful one with our schedules filling up with activities, gift lists unchecked, and normal day to day life on top of it. I thought I’d attempt to help with some ideas. 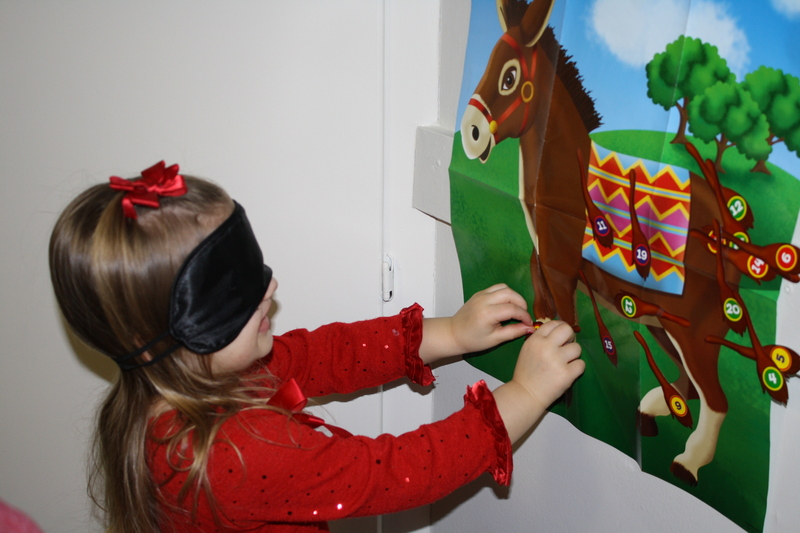 First, we did a post last year with some age appropriate ideas on ways to celebrate Jesus’ birth in a simple way. You can find that post here. I regularly read a blog written by a woman with five children of varying ages. She recently wrote a post about her family’s favorite toys. I highly encourage you to check it out here. There are a lot of ideas of ways to prepare for Christmas including things like count-down chains, Elf on the Shelf, etc. It’s fun to begin traditions with your children! How about an advent calendar? * Here’s a free, printable one from Life Made Lovely. I like this one because it includes daily Bible readings with the Jesus Storybook Bible as well as cards for you to include some of your own holiday traditions to do with your children. i.e: bake cookies, sing Christmas carols, read a Christmas book, drive around to view Christmas lights, etc. And, don’t forget about our upcoming Christmas Worship on December 14 from 10:00-11:30. You’ll have the opportunity to hear a wonderful message, watch and listen to your children sing new songs they’ve learned, and then participate in games and activities afterwards. 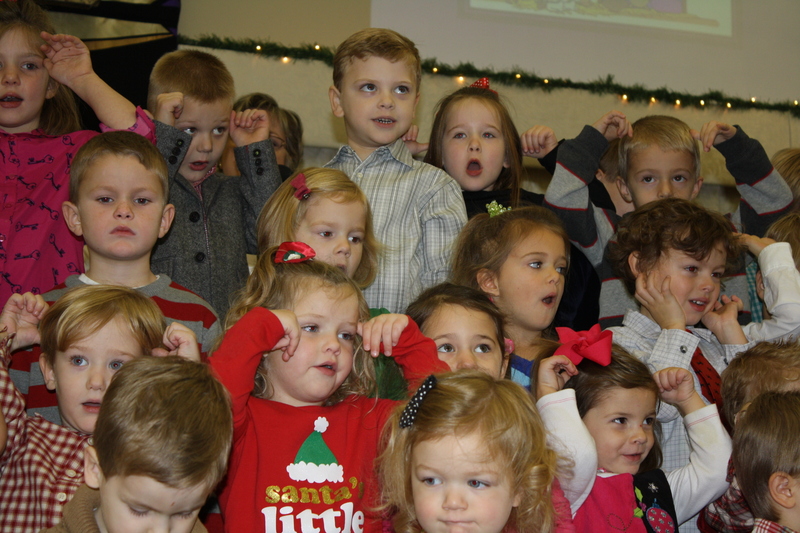 It’s a wonderful time of worship and fellowship with other preschool families! Categories: faith, Play | Permalink.